Researchers at the University of South Florida are doing what supplement companies and doctors of integrative medicine have been doing for decades: formulating a dietary supplement high in antioxidants. Recently, blueberries have made the news since they're one of the foods highest in antioxidants. So these researchers at USF designed a supplement high in antioxidants from blueberries. NT-020, the name of their new supplement, also contains an extract from green tea, vitamin D3, carnosine, and amino acids. Then they evaluated the supplement in clinical trials with participants who did not have memory issues. They hoped it would eventually prove to be beneficial for those who do have memory problems. 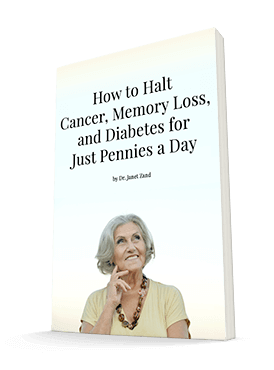 As you may know, memory and cognitive decline are common problems. Researchers have developed a number of therapies to help slow this decline or prevent it altogether. But dietary choices always come to the forefront because diet is the best way to protect your memory. The USF researchers decided to focus on antioxidants in particular to see if, in supplement form, they could improve processing speeds in older adults. They tested their formula in a two-month clinical trial with 105 healthy adults ages 65 to 85. Of these participants, 52 took the NT-020 supplement, while the other 53 took a placebo. The participants receiving the supplement showed improvements in their cognitive processing speed. But those taking the placebo did not, based on the results of a number of memory tests taken before and after they took the therapy. Slower cognitive processing speed goes hand-in-hand with aging, so a supplement that can actually improve processing speed is certainly promising. Brent Small, PhD, says, "Processing speed is most often affected early on in the course of cognitive aging. Successful performance in processing tasks often underlies more complex cognitive outcomes, such as memory and verbal ability." The researchers believe the results may be largely thanks to blueberries, one of the main ingredients in the supplement. 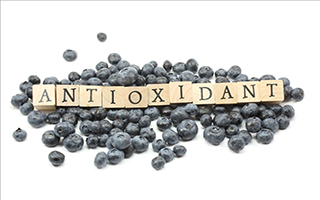 Blueberries are rich in polyphenols, and, Paula Bickford, PhD, explains, "The basis for the use of polyphenol-rich nutritional supplements as a moderator of age-related cognitive decline is the age-related increase in oxidative stress and inflammation. Non-vitamin polyphenols are the most abundant modulators of oxidative stress and inflammation in our diet." NT-020 may work so successfully because 95% of it is made up of polyphenols. Prior to the human clinical trial, the researchers tested NT-020 on aging laboratory rats. They found that the supplement promoted the growth of stem cells in the brain, which helps counteract the effects of aging. The supplement also benefitted the rats who were subjected to a simulated stroke and contributed to better cognitive performance overall. As the results have been so promising, the researchers are now looking ahead to longer trials so that they can determine the best time frame for taking the supplement. They are also interested in the formula's effects on humans who are already suffering cognitive decline. They note that "in the future, having markers of oxidative stress and inflammation, as well as brain-based measures of functioning, may allow us to identify the manner by which this compound, as well as others, may influence functioning." The University of South Florida has patented and licensed the NT-020 supplement. But it contains compounds that we've known for some time improve cognitive functioning. There are many antioxidant-rich formulas to choose from that will help keep your brain functioning well even as you age. One of the best all-around supplements is the polyphenol-rich Advanced Memory Formula, which contains blueberries as well as many other memory-enhancing nutrients. Rejuvenation Research, vol. 17, no. 1, 2014.